There has been a lot of chatter about the state of job boards as recruiters and candidates shift towards using different media to connect and apply for jobs. Are job boards still relevant? The answer is a resounding YES. 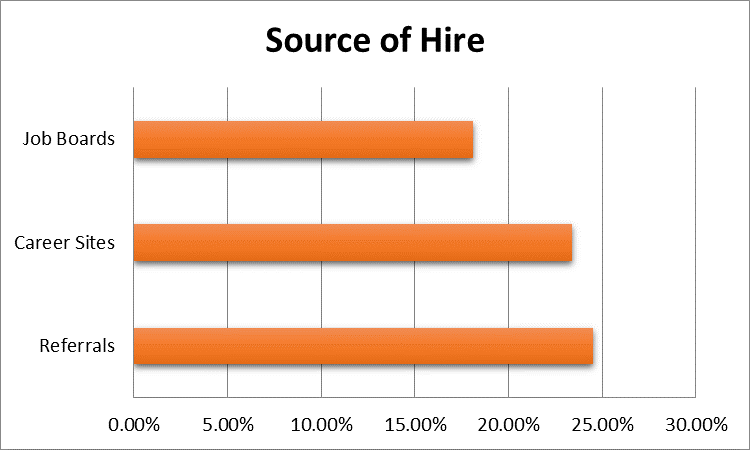 Job boards are among the top three sources of hire today. The evidence is clear – job boards remain one of the top sources for recruiting new hires . Most importantly, jobseekers will continue to use them in their search, as job boards remain some of the most trafficked websites on the Internet2. Niche job boards are generally smaller job boards that are location or industry focused. Many niche job boards are sponsored and/or maintained by industry leading professional associations3. From a recruiter’s perspective, the industry focus of niche job boards helps to target job advertisements toward qualified candidates. As an added benefit, recruiters report improved quality of candidates because candidates belonging to and seeking jobs through a professional association are often substantially more focused on career, skill, and trade development. What Benefits Do Niche Boards Provide? Job boards have provided many benefits for companies since the beginning of their existence. For example, they have made it easy for candidates to discover new companies and apply for open positions. Over the years, however, this came at a cost. Recruiters have long complained of being bombarded with unqualified applications that must be sifted through before reaching top talent, a time consuming and expensive process when recruiting departments try to become more efficient and strategic. With this in mind, strategic recruiters and sourcers have gravitated toward more targeted job advertisements by utilizing niche job boards. Although niche job boards do not boast the traffic of larger sites like Career Builder and Monster, it would be naïve to rule them out of recruitment advertising budgets. As a general rule each industry has at least 2-3 niche boards, and they can be further segmented by region, professional association, society, and more. Niche job boards attract specific candidates that possess specialized skills and more relevant, up-to-date experience. Although these boards don’t have the quantity of traffic of large job boards, niche job board postings receive higher quality and more relevant applications. Therefore, niche job boards are the fastest way to finding strong candidates, leading to lower cost-to-fill. Do Niche Boards Help to Find Passive candidates? Job boards have evolved into a tool that not only benefits recruiters trying to fill current openings, but also to help strategic sourcers as they look to build a strong talent pipeline for future openings as well. With job boards, there is an opportunity for employers to actively build and manage an employment brand that attracts not only active jobseekers but passive jobseekers as well – in essence, a channel for future applicants! Use a consistent look and feel for all job postings. With an automated job distributor, recruiters only have to create the job posting once to distribute it to multiple sites simultaneously. Own some of the job board’s “real estate” on the home page or in ongoing job alerts. Is there a specialty of niche job board that you have recruited from successfully in the past? This could be an untapped opportunity to extend your employment brand. Connect with job seekers and passive candidates through multi-channel marketing approach. Are there specific networking events or career fairs that job seekers on specialty or niche job boards are familiar with and attend? Attend those events while maintaining an online presence within those special and niche job boards as well as social media. Finding the right match for your job openings is important in order for your organization to reach its goals and objectives. Niche job boards are a valuable resource for finding quality talent, and vital to a successful recruitment strategy. iCIMS Job Board Posting is a time saving tool designed to fully automate the process of posting available positions to over 14,000+ online job boards. Powered by JobTarget and seamlessly integrated with iCIMS Recruit, the OneClick Job Board Posting tool allows users to easily post jobs out to multiple third-party job boards, automatically track candidate sources upon clicking on job ads, and report on source effectiveness within the iCIMS Talent Platform. As one of the fastest-growing vendors of Talent Acquisition Software, iCIMS has clients in all industries and sizes. iCIMS’ Talent Platform provides businesses with flexible tools that help them attract, hire and manage the best talent, giving them an edge over the competition. iCIMS’ key differentiator is our commitment to customer service and the customer experience. iCIMS is extremely proud of its 4 year running 97% customer satisfaction and renewal rating. Its award-wining customer experience is a result of advanced support offerings, which include a multi-tiered customer support team, frequent virtual trainings, and our interactive iCARE Customer Site. To learn more about the iCIMS, call 1-800-889-4422 or take a look at our demo.